Crate Paper MAIN SQUEEZE Thickers Puffy Stickers 343987 at Simon Says STAMP! 343987 This item is on reserve until If you would like to reserve this item now, you may purchase it now with the rest of your order. We will hold your order now and ship your entire order as soon as this item is back into stock. If you would like your order to ship now, please place this item on a separate order. Success, Crate Paper MAIN SQUEEZE Thickers Puffy Stickers 343987 has been shared! Finish off a scrapbook spread or card with adorable Thickers phrases! This package includes over 80 Valentine's Day Thickers phrases and accent pieces. Pack measures approximately 5.6 x 12.5 inches. 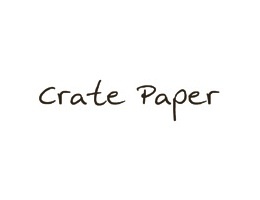 Crate Paper, an eclectic mix of the old and new, is known for products featuring its signature distressing antiquing and cute, accessible designs. Popular Crate Paper offerings include patterned paper, stickers, chipboard, layered embellishments, brads, ephemera, and more.